Home Opinions Our Take Can’t Geraldine Ssali forego the compensation? Can’t Geraldine Ssali forego the compensation? It is good manners to respect the hand that feeds you. 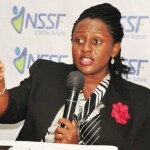 Geraldine Ssali Busuulwa is the Deputy Managing Director of the National Social Security Fund, recently reinstated by court and awarded a Shs200 million as compensation, after taking her employer to court following her suspension for insubordination. Now, the Fund that is dependent on workers’ savings has had a turbulent history with its past Managing Directors, most of who have left unceremoniously. 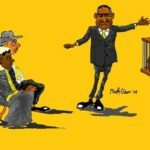 This trend had to be put to a stop, if the workers’ savings were to be secure, so a search was constituted to find a dependable person who could be trusted with the trillions of shillings in the Fund’s coffers. That person happened to be Richard Byarugaba, a banker of long-standing. The current MD Mr Byarugaba has been credited with turning around the institution, prompting the powers that be to give him another chance to improve on the time-honoured performance he introduced in his first term. And, in a bid to bolster this performance, the Board hired another equally competent personality, Geraldine Ssali Busuulwa, to assist in the realization of Fund’s goals. Ordinarily, given their outstanding public service credentials, the Fund was destined for greater heights with these two managers at the helm. But Alas, for now it seems the notion is far-fetched! However, the possibility still exists for the two of them to prove that their differences arise out of methods of work, which is normal, and not hatred. That said however, Ms Ssali should consider exercising probity in regard to the ‘compensation’ by court because she still retains her job. The compensation also leaves a bitter taste in the mouths of the many workers who toil to save with the Fund. But in any case, is it right for an employee who has been sent on ‘administrative leave’ to run to court?